Even if you’ve only been paying slight attention to the world of netlabel ambient music, podcasts, radio, and artists the past few months, the name Jack Hertz has probably crossed your reading and listening paths. Jack approached me and Thomas in the early part of 2012 with an idea for the Complex Silence Series that we listened to and liked, but didn’t feel fit the CS concept exactly right. I encouraged Jack to try again, thinking that I might hear back from him a few months later. Instead, I heard back from him in a matter of days with the submission you are about to enjoy. I can only describe these four tracks as sublime and meditative. You can simply soak into them and relax and let the music do the rest, the way pure ambient music is meant to do. These tracks are definitely a journey, with their own sense of movement and purpose that (to my ears at least) is a hallmark of Jack’s brand of ambient music. And if you’ve never listened to a Jack Hertz ambient release before, I hope this release serves you as an appropriate introduction to his work and gives you a desire to hear more. In less than 1 week, on June 18th, Treetrunk 200 will be released. 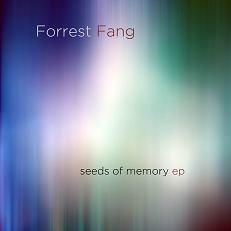 This is “Seeds Of Memory” by Projekt artist Forrest Fang, a wonderful ep of 5 tracks of smooth, experimental ambiance. “Seeds Of Memory” is a free companion release to Fang’s cd due out from Projekt at the same time, called “Animism”. “Seeds” will be available in mp3 and flac form and is highly recommended. I can’t wait to release this material– I bet you can’t wait to hear it!